So super-premium cola Pepsi Raw is no more. I can’t say I’m surprised. Having worked on a number of soft drinks brands in the on premise and wider foodservice environment (including twice for Britvic, Pepsi’s UK bottler), carbonates have always been difficult to market, especially in the on-trade. For a start, as a general rule of thumb, soft drinks manufacturers make better margin on bottled product – but outlets do better from dispense (the ‘guns’ of post-mixed syrup, water and fizz). Which means brands tended to put their in-outlet promotional budget behind their bottled product while the bars and catering outlets wanted to shift more post-mix. Not good if your product is a premium bottled carbonate. 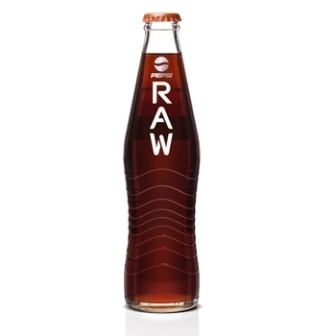 On top of this, Pepsi Raw was positioned at launch in 2008 as a more natural cola and premium priced accordingly. But there’s very little research out there to suggest that in an out-of-home situation adults would prefer a more natural drink option. It’s all about Needstates in this environment – am I thirsty and need a long drink, do I want to be virtuous and drink a healthier drink like fruit juice, am I pacing myself between alcoholic drinks but want to look like I’m still joining in or am I bored and want to try something new and different. I’m still not sure which needstate Pepsi Raw was addressing that bottled regular Pepsi couldn’t. As a premium mixer for premium spirits (much like Fever Tree), it certainly had a niche in both the on and off trade (apparently it did quite well in Waitrose in small can format) but perhaps not one big enough to keep to keep Britvic and PepsiCo happy. 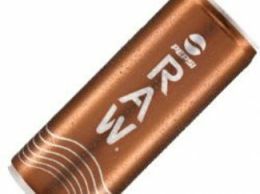 Britvic have actually stated publically that Pepsi Raw did well in bars and pubs but ‘however the roll-out to grocery was less successful’ – hmmm, I’m not sure I buy that and would love to see the sales figures. The off-trade sales were certainly disappointing, with Neilsen recording just £704K off-trade sales for the year to end June 2010, with no accompanying above the line marketing spend. And herin lies the problem. If your premium product is premium priced for a reason, but you haven’t the marketing budget to explain why, then to quote a commentator on pub trade mag The Publican’s website “customers were being asked to pay a premium for something they didn’t understand”. Also. How something with that much sugar could lack sweetness was a source of much bemusement for me.